4.5 20 Be the first to write a review! Wonki Wands let you create biggest and wackiest bubbles in the world. Wonki Wands let you create biggest and wackiest bubbles in the world. With Wonki Wands as seen on TV you can create bubble up to 4 feet wide and 40 feet long! 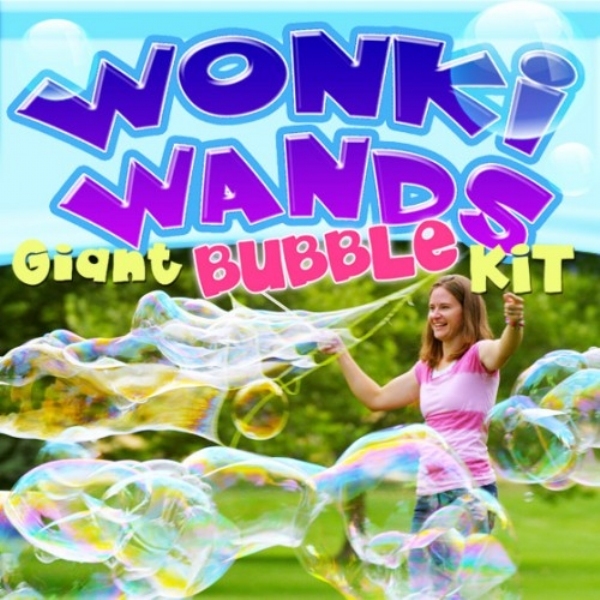 Fun and easy for all ages, just dip the Wonki Wands in the special bubble solution and create hundreds of giant bubbles! Perfect for birthday parties, slumber parties, family reunions or anytime you just want to have big fun. Includes Wonki Wands and 12 fl.oz. bubble solution.